Join the discussion on our forums! Come discuss Rattling Rascal over in our dedicated Rattling Rascal discussion topic. Serious question: How does this card interact with Unwilling Sacrifice? Obviously on an empty board on T7, I'd love to be able to play this then sacrifice it to kill the opponent's 5/5 - but I'm about 90% sure that won't work as the DR won't trigger until the spell has fully resolved... Right? Are you saying you want to pay 7 mana and 2 cards to cast a 5/5 minion? I think you can do better than this. It's basically a 7 mana 10/10 give your opponent a 2/2. Not quite what you're saying, Magic. 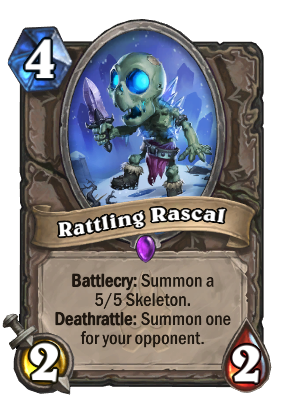 Alright the art and play + attack sound make this card cutest of the set. 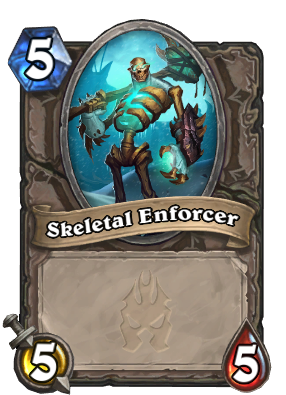 Is it's flavor text "Don't give up, skeleton!" 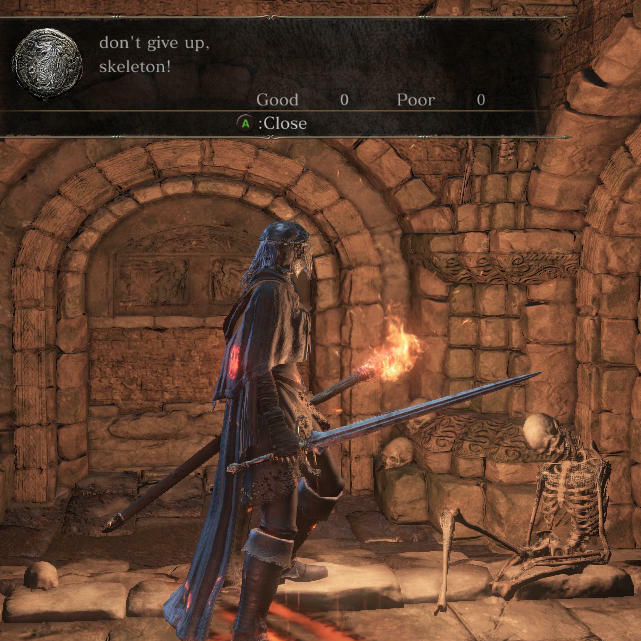 supposed to be a Dark Souls reference? What is the mana cost of the 5/5 token? 5?